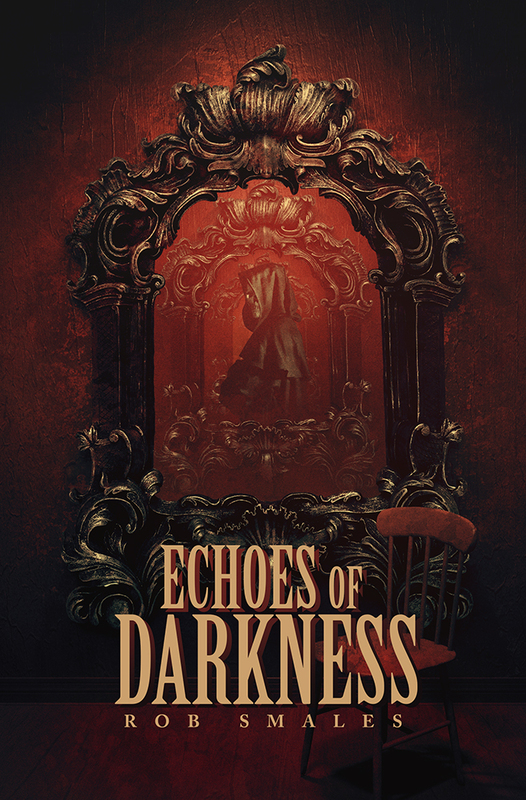 Books & Boos Press is proud to reveal the cover for our upcoming release, Echoes of Darkness by Rob Smales. The artwork was done by renowned artist Mikio Murakami of Silent Q Design. His latest works include the design for Chains Over Razors’ debut album, Crown the Villain, and the cover art for Robert Essig’s book, In Black. Echoes of Darkness will be released on February 28, 2016. Smales is the author of Dead of Winter, which won the Superior Achievement in Dark Fiction award from Firbolg Publishing’s Gothic Library in 2014. His short stories have been published in two dozen anthologies and magazines, including the recently released Insanity Tales II: The Sense of Fear. This entry was posted in Artist, bookcovers, Publishing/book news and tagged Books & Boos Press, Books and Boos Press, Chains Over Razors, Crown the Villain, Dead of Winter, Echoes of Darkness, Firbolg Publishing, In Black, Insanity Tales II: The Sense of Fear, Mikio Murakami, Rob Smales, Robert Essig, Silent Q Design, Stacey Harris, Superior Achievement in Dark Fiction Award. Bookmark the permalink.